These are some answers that you may consult first. If you have any furthur question, please let us know. We hope the following FAQs will give you most answers for your concerns. New popular questions will be frequently updated on our FAQ page too. 1. Can I use images in your package in many purposes? The images in our packages have appropriate licenses to be used in your websites. However, they cannot be used in your commercial marketing products such as banner ads or brochures. 2. I bought a theme which doesn't work with my Drupal version, what should I do? We have indicated in each theme the Drupal version which it works with. You should upgrade your Drupal or ask us about the customization. Remember it will be a custom job with hourly rate. 3. What’s a "Buy out"? We are happy to annouce the launch of SymphonyThemes, a premium Drupal theme provider. 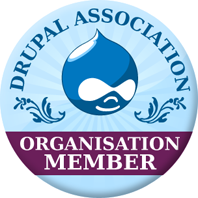 We will provide high quality Drupal templates to Drupal community. Excellent designs: We have studied much about customer behavior as well as trends in the world to make sure that Symphony themes are nice, effective and trendy ones. All themes have gone through careful QA before we give them out. 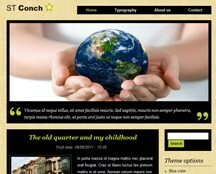 Flexible templates: Each theme comes with detailed documents so you can easily modify by using theme options and styles. Incredible support: Once you buy the themes or you are just a guest, you will receive support at 24/7 via the Support forum which provides answers for all of your concerns.